Flipkart has defined the eCommerce industry in India and will continue its leadership with its core value of putting "customer first". 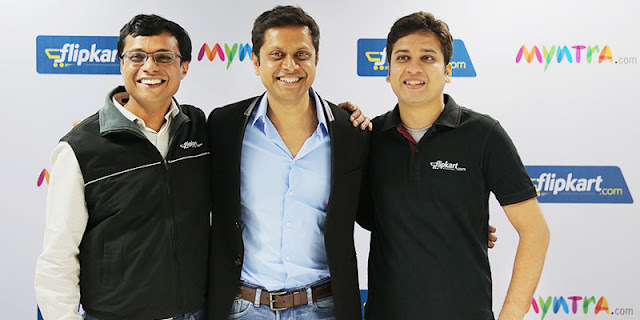 Flipkart is made of people who love being themselves and their independence of thoughts pave way for disruptive innovation on tech, biz and ops fronts. We are looking for engineers who are well rounded - quality conscious, product thinkers, business cognizant and smart - not mere coders. Engineers get to significantly amplify their impact with the scale that Flipkart operates at. The same scale also demands the engineers to produce super-efficient solutions. Engineers participate and breed the culture of self-drive which is fuelled with merit based opportunities. In the pursuit of excellence, Flipsters compete against themselves because there is no competitor in the radar. Responsible to activate, acquire and coordinate day to day business operations with leading online marketplaces likeflipkart , eBay, Snap deal, Amazon, Jabong etc. Listing company product strategically with various ecommerce portals . Responsible for handling Buyers, Channel Partners along with Sales, Margin & Profitability goals and taking care of alarge volume of business.